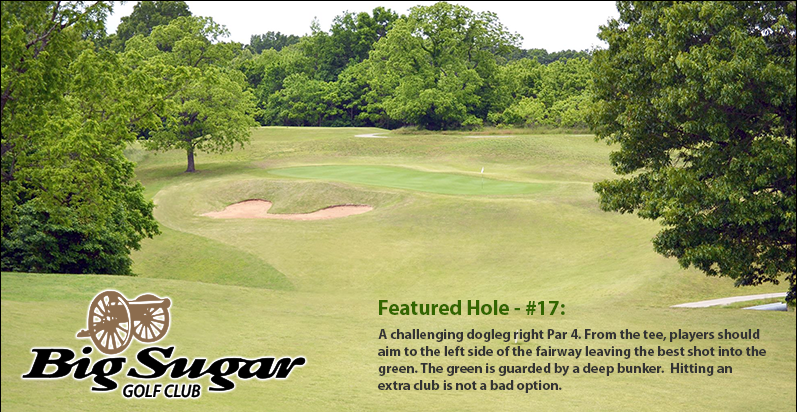 Big Sugar Golf Club - Pea Ridge, Arkansas - 18 Holes of Championship Golf on the Banks of Sugar Creek. Open to Members and the Public, come enjoy one of the most scenic & challenging golf courses in Northwest Arkansas! All Member rates include UNLIMITED golf, cart and range use, as well as discounts on Big Sugar merchandise. View all of our Rates & Amenities, or Join Our Club. For tee times, membership information, or for tournaments and corporate events contact our clubhouse directly. Big Sugar Golf Club is a 18-hole, Par 72 Championship golf course. The club features a full service pro shop, practice facilities, restaurant/bar and a staff that specializes in customer service. 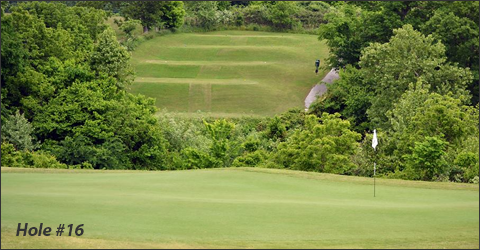 is one of the most scenic and challenging golf courses in Northwest Arkansas area. from the professional golfer to the novice. Whether new to the game or a passionate veteran of golf, Big Sugar Golf Club will provide you an opportunity to enjoy golf to its fullest and an experience that you will forever enjoy. Our pro shop is well stocked with everything you need to take your game to the next level. Our friendly and knowledgeable staff can help you pick out the right equipment for yourself, or as a gift for a friend. New and used golf balls, clubs and accessories, men's and women's logo golf apparel, and Big Sugar gift certificates are available. Forget to grab something for your round? Pick it up quickly and easily in our pro shop. We carry the best name brands in both equipment and apparel to help you look and play your best. Come hit a bucket of balls for only $5.00 (40-50 balls), on our driving range and work on correcting that slice or break in your new set of clubs. Range balls are FREE and unlimited with a Big Sugar Membership. Looking to get your swing into shape? What about your short game? We offer the training and facilities you need to improve and maintain your game. Call our clubhouse at 479-451-9550 to book your next lesson. Clinics, fundraisers & corporate events are also available by request. Contact our clubhouse for more information.